The genesis of the National Cadet Corps can be traced back to that period of the World War I , when having been pushed to the wall , the british looked desperately towards India as a source of manpower in their war effort. The casualties suffered by the British were so heavy that the Indian Army Reserves could not cope up with the demands of the reinforcements. 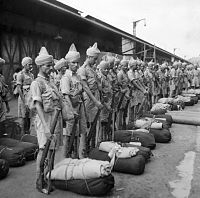 The British Govt in India desired greater Indian participation in the war effort,and therefore,introduced the Indian Defence Force Bill in the legislative Council in Delhi on 21 Feb 1917 . This bill sought to obtain compulsory enrolment of the European British subjects in India and voluntary enrolment of the non-European British subjects within the country. The bill was essentially a war measure designed to meet the immediate military requirements of the Empire. This was also the time when Indian leadership was demanding a rightful place for Indians in the command and control hierarchy of the defence forces and opportunities to enter the officer cadre. They supported the bill,with the hope that in near future ,facilities which had been offered to only British youth would be extended to Indian youth as well. Later continuous pressure from the Indian leadership compelled the Britishers to prepare and refer the Indian Defence Force bill to a select committee, and finally resulted in passing of the Indian defence Force Act 1917 by the Governor General on 28 Feb 1917. As per this Act , the Governor General could start enrolment of Indian students in a youth organisation named as University Corps. With the introduction of the university Corps, overnight ,things seemingly changed , The aspiration of the Indian youth to take part in the affairs of the nation were rekindled. Waves of the spirited Indian youth volunteered for service in the corps in the hope of promised freedom in future . Thus the beginning was made for organising the youth of India . The development of the Corps under the British Empire progressed from University Corps to University Officers training Corps and finally to National Cadet Corps. Our Rashtrapita Mahatma Gandhi had raised Indian Ambulance Corps (IAC) during Boer War in South Africa in 1899. He was in charge of the party that evacuated wounded British General Woodgate to hospital .As a token of appreciation for this act of bravery the British Authorities had awarded a war medal to him and his colleagues. Later during Zulu Rebellion in South Africa in 1906 Gandhiji again raised indian ambulance Corps (IAC) and served in it as a Sergeant Major. This time uniforms were given to the members of IAC. In this war again the IAC did a commendable work for which British authorities again awarded a special medal to Gandhiji and his colleagues. 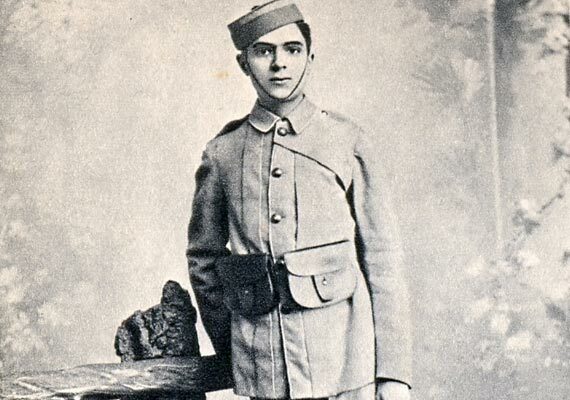 The First Prime Minister of Independent India , Pandit Jawaharlal Nehru was a cadet student at Harrow in the UK . The fact that our great leaders had some association with uniform proves that apart from actual battle front,men and women enriched by military training can render noble service both in times of war and peace in many ways than a non trained person. Calcutta university was one of the pioneer universities which introduced the university Corps (UC) . 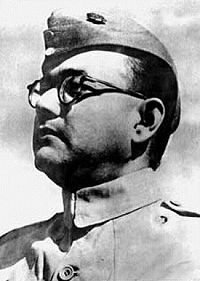 The most prominent member of the UC was Netaji Subhash Chandra Bose. He had his first basic military training in 1917-18 as one of the 250 cadets constituting No 1 Platoon of A company comprising students of Calcutta University and Scottish church college. Netaji was a student of Scottish Church college. 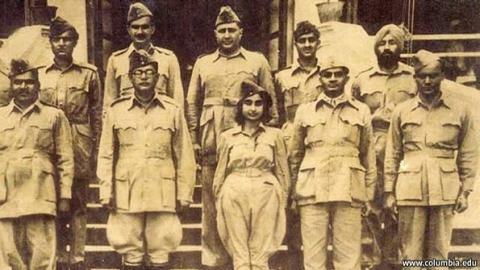 Thus UC was the organisation where Netaji had his basic military training which probably helped him later while leading the Indian National Army in freedom struggle. Sri Morarji Desai former Prime Minister of India was one of the UTC members in the Bombay University Corps in 1917-18. Many prominent officers of the Armed forces had an UTC background . Notable amongst them are Air Marshal Subroto Mukherji ,the first Indian Chief of Air Staff; The first Marshal of Indian Airforce , Arjan Singh,DFC and Gen TN Raina . In the aftermath of the Kashmir War in 1948,the Govt of India appointed the Kunzru committee; based on whose recommendations a draft bill was placed before the Constituent Assembly. The National Cadets Corps (NCC) came into existence on 16 July 1948 by this act. Initially it was open only to male cadets; it was extended to girls in 1949 . The Air Wing was raised on 01 Apr 1950 and the Naval Wing was added in july 1952. Various changes were made over the years. NCC Rifles was raised along the lines of an Infantry Battalion, but was later amalgamated into normal units. NCC was made compulsory in 1963,in the wake of Chinese aggression. A strength of 17.16 million was reached. This was later found to be unsustainable and voluntary enrolment recommenced in 1996. The NCC is a Tri-Service organisation, Headed by a Director General of the rank of Lieutenant General of the Army. There are 17 regional Directorates controlling training,each headed by an Additional Director General or Deputy Director General of the rank of Major General or Brigadier or equivalent ranks in the Navy and Air Force. There are 95 NCC Groups and 788 Units Located through out the country. 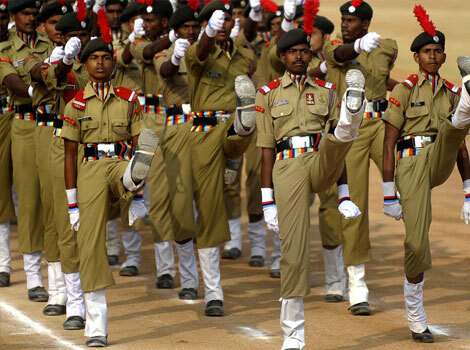 The NCC , India is the largest volunteer uniformed youth organisation in the World and is 13.5 Lakh strong. The Government has ordered increase in enrolment to 15 Lakh. 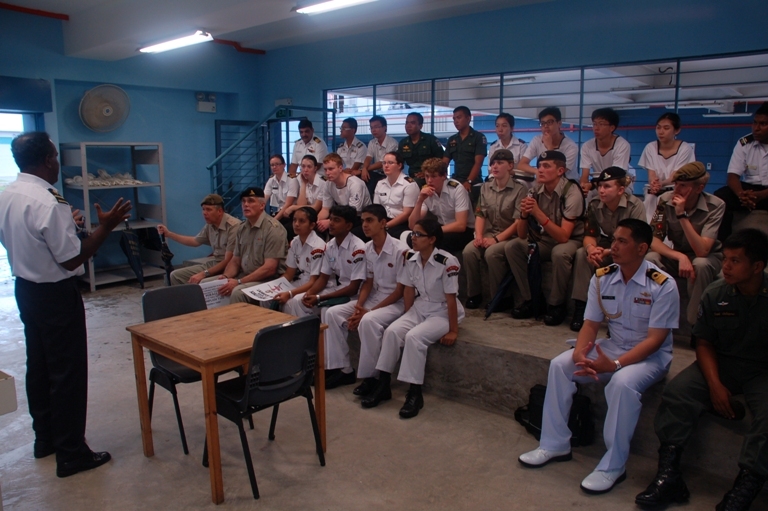 Many Nations have emulated our model successfully and have regular Cadet exchange programmes with us. The sight of proud NCC cadets marching past the President on Republic Day brings joy and pride to every Indian, and reassures them of the future and greatness of our Nation. NCC Group Headquarters, Ernakulam came into existence with effect from 01 Jun 1963, with seven units under its jurisdiction. Subsequently , two more units were placed under its command . In the re-organisation effected during 1977 , three units were disbanded and a new unit viz 1 Kerala Girls Indep Coy NCC was raised . The youngest unit of the Group , 1 Kerala R & V was raised at Mannuthy, Thrissur in Nov 1985. At present, there are nine units; four at Thrissur, four at Ernakulam and one at Cherthala under the command of this Group Headquarters. No.3 Kerala Air Sqn NCC has been raised at INS Garuda, Kochi under command of Gp Capt CV Sunil Kumar, since Jan 2011. In addition the modalities for raising NCC unit at Lakshadweep are being worked out in consultation with the Lakshadweep Administration.